5x world champion Bernardo Faria made his return to the 2017 Worlds after a serious injury kept him away from competition for a big part of the past year. This year Faria just fell short of the gold when he lost 9-0 in the super heavyweight final to the same person that eliminated and injured him last year: the controversial Erberth Santos. Last year, the biggest upset at the Worlds 2016 was the triumph of Erberth Santos over Bernardo Faria via armbar in the semifinals of black belt Absolute. Erberth Santos attempted to pull an armbar over Faria injuring Faria’s pec. “After 1 year without competing, I took part in the Worlds Championship and I ended up in second place in my division (Super Heavy). This was not the result that I wanted, at this point of my career, after all the sacrifices I have made for Jiu-Jitsu, all injuries and all of the hard work that I put into my training, I only focus on winning when I’m competing. It was my 9th World Black Belt Finals in the Adult division, I won this tournament 5x before, and in 2015 I won the Double Gold, when I won my division and the Open Class which is the biggest dream of any Jiu-Jitsu competitor in the planet. I also won the Pan-Ams Open Class 3x, what nobody had ever done in Jiu-Jitsu before. I know there are guys who have done more than me in Jiu-Jitsu tittles, but I’m super proud of my own story, that I wrote through a lot of hard work and sacrifices since I was 14 years old. I’m not sure when or if I’m going to compete again; after 17 years training and competing at the highest level, my focus is starting to change. I’m getting way more motivated to share all these experiences I have had with you guys. The truth is that in order to be the best you can, you gotta be a bit selfish, or maybe a lot selfish. 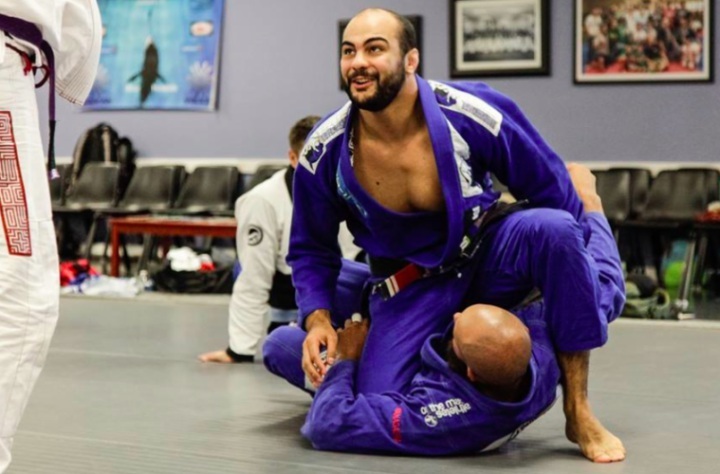 For example, during my 4 years teaching and training at Marcelo’s school, I think I only trained with less than 10% of the students there, because I was always “hunting” the toughest guys on the mat, every day, every training and every time. I don’t remember when I was the last time I called a student who only did BJJ as a hobby, to do an “easy roll” in the school. I believe that now it`s time to start enjoying and sharing more and more of what I have learned, instead of just thinking about my own training and career. This not a retirement statement, but I’m also not sure when or if I’m going to compete again".